The lake port city of Otsu has a wealth of sites of historical and cultural importance and lies within close proximity to Kyoto. Particularly well-known for its viewpoints, eight scenes across town have become particularly famous, often eulogized in poems, and depicted in paintings. 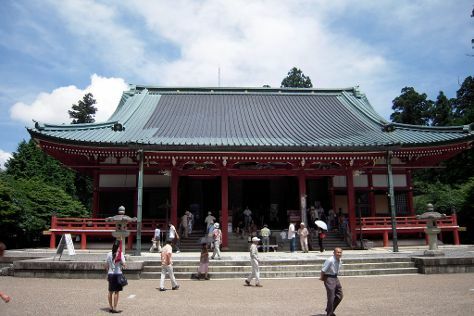 Shinto shrines and Buddhist temples offer some of the main places to visit in Otsu, while several museums tell the story of this former imperial town, which briefly stood as the nation's capital in the seventh century CE. Otsu is in Shiga Prefecture. Use Inspirock's suggestions to plan your Japan trip and find the best activities and attractions for your vacation.